A flange can also be a plate or ring to form a rim at the end of a pipe when fastened to the pipe (for example, a closet flange). A blind flange is a plate for covering or closing the end of a pipe. A flangejoint is a connection of pipes, where the connecting pieces have flanges by which the parts are bolted together. The flange faces are also made to standardized dimensions and are typically "flat face", "raised face", "tongue and groove", or "ring joint" styles, although other obscure styles are possible. Flange designs are available as "weld neck", "slip-on", "lap joint", "socket weld", "threaded", and also "blind". Standard : ASTM A 105, ASTM A 694-F42, F46, F52, F60, F65 & F70. 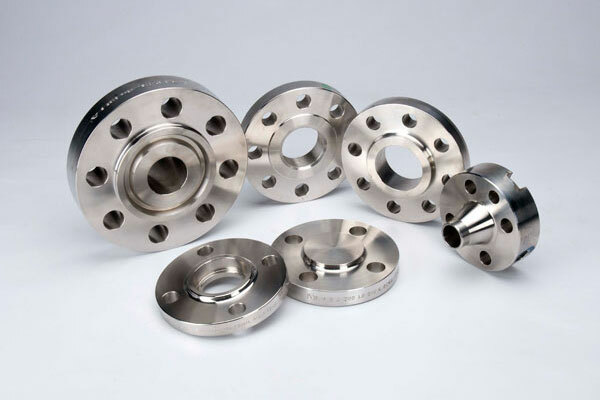 Carbon Steel Flanges : ASTM A 105, ASTM A 694-F42, F46, F52, F60, F65 & F70.